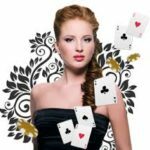 When a conversation comes up about live casinos and their many benefits; one of the biggest perks people come up with is the live casino games. If you’ve never played at one before you’d probably imagine that live casino games are just cheap knock offs of the real thing. You couldn’t be any further from the truth however. Not only are live casino games a truly immersive experience like no other; they also come with a wide range of benefits available only to them! Live casino games are such an immersive experience largely because they’re so interactive. The live stream you’ll be watching of your chosen game will be detailing every little sound and sight that goes on at the table . This means you won’t miss a thing as you’ll see it in real time too. When you combine that with the fact the dealer can see what you’re doing and read what you’re typing; this means they can respond to you near instantly no matter what you do and they can also have a free flowing conversation with you whenever you’d like. The second thing that makes playing live casino games so much better than anywhere else is the fact that there’s a far bigger library of games to choose from! Your local casino will be doing well if it has any more than 6 casino tables active on the floor which isn’t a lot and it certainly doesn’t cover every game a casino could offer. On the other hand you’ll never find a live casino that has less than 10 games on their site with most site’s actually doubling that. This means you’re more often than not going to have 3 or 4 times as many games to choose from at a live casino than you do at your local and the fact that every live casino is just a few clicks away means that you basically have every live casino game at your fingertips anyway. 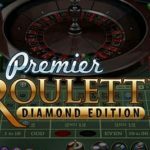 Blackjack and Roulette are still the two most popular live casino games in town however they have many variations of themself for you to choose from and then when you dig a little further you’ll find all the other top picks such as Poker, Baccarat, Craps, and even Sic Bo along with all their many variations too. 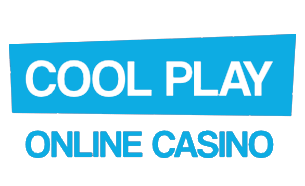 So if you’re interested in playing at a live casino then you’ll definitely be happy with the live casino games on offer as not only are they interactive but they’re also incredibly expansive too!